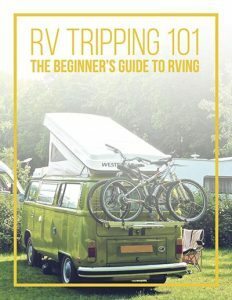 Now that the summer is over, most RVers are putting away their RV’s until next year. But there are still some who are just now getting ready to hit the road. Why? Because the fall season has many advantages over summer, when it comes to RVing. Many feel that summer is the only time to take out their RV, but a growing number find fall to be just fine, and are actually preferring it. We will give you a few reasons, that might just convert you into an autumn RVer from here on out. As the weather begins to cool off and the leaves begin to change colors, cities and towns all across the nation will be holding their annual Fall Festivals. These events are perfect family getaways that will keep everyone entertained and happy. Depending on when you go, and where you are, your experience will vary, but during the Fall Festivals is always a great time. Whether it is great live music, fresh apple cider and seasonal pies, or a haunted house during Halloween, the fall offers a travel experience so uniquely different from the Summer. For those on the East Coast, you can stop by the National Apple Harvest Festival, in Arendtsville, Pennsylvania, outside of Gettysburg. If you’re out in the West, the Wine and Chile Fiesta, in Santa Fe, New Mexico, is the perfect autumn experience in that region. Certain parts of the U.S. landscape become absolutely stunning during the autumn season. The U.S. Forest Service’s Fall Color Guide will provide the best information on when the colors are peaking in all areas of the country. This transformation of color is a good enough reason alone to get out on the open road. State and national parks become some of the most beautiful natural locations in the entire world. Whether you are in the Pacific Northwest or the Atlantic Northeast or any place in between, the landscape color change brings about breathtaking visuals, and amazing celebrations nationwide. On top of all this, the weather is cooled down and comfortable for almost everyone. When you think of RVing, Halloween isn’t usually something that accompanies it, but after this, it might. During Halloween, almost every town in America will hold some type of event(s) to celebrate the spooky holiday. Haunted houses and ghost tours pop up everywhere, and traveling in your RV is the perfect way for you and your group to experience all the scary fun. Even if you don’t plan on traveling far, you can still use your RV to pick up people in your neighborhood and visit haunted houses to receive a group rate. Campgrounds also are big on Halloween and provide a great time for families traveling in their RV during the Halloween season. These are just a few reasons why many people are choosing to wait until fall to take out their RV. 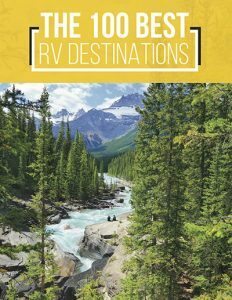 Beating the typical RV rush of the summer is something you may find appealing, and you will realize that you aren’t sacrificing fun when doing so. We hope you have found this helpful, and motivational to get out on the open road and enjoy the beautiful fall season! 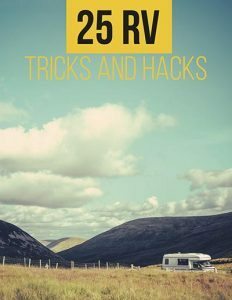 This article was originally posted by RVShare.com! If you need to rent an RV to have your own adventures we would be happy to help! Give us a call (503) 641-9140 or rent an RV here!